As I will be on air Friday chatting about “Saints and Sinners” as part of An Engaging Faith for Real Life Radio, I thought that this would be an apt post to revisit since two of these saints have also been consecrated to Mary. 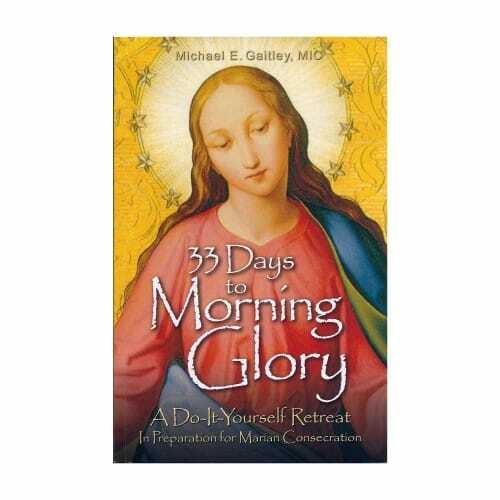 If you haven’t considered this retreat before, there are so many amazing graces to be found in becoming less dependent on ourselves, and to lean more on Mary to lovingly guide us to Christ through humility and submission to God’s will. 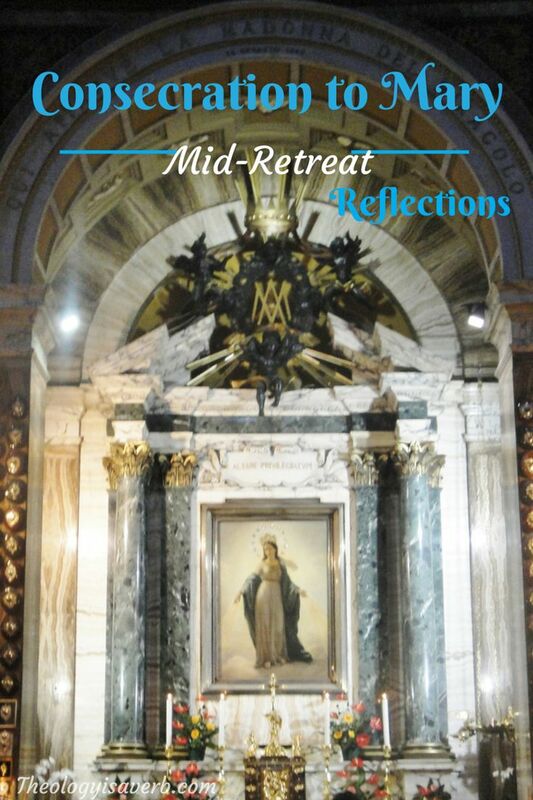 Mid Retreat Reflections: Consecration to Mary. Familiar with Louis de Montfort’s treatise on Mary, I have thoroughly enjoyed Gaitley’s use of modern saint stories that bear vivid witness to lives devoted to Marian consecration. Here we follow St. Maximillian Kolbe, Blessed Mother Teresa and St. JP II. who also had devoted themselves to Mary to glimpse how that was manifested in the course of their everyday. As a convert to Catholicism, I began this path of understanding and growing in Mary a little more than 20 years ago. Still, it is this later discovery that has prompted a desire to fully seek who Mary is in the life of Christ, the life of the Church and quite personally for me. Oh, how very much I still have to learn! This retreat is said to be undertaken with ‘fire in one’s heart’ with generosity and desire. Where we lack these things, the Holy Spirit, Mary and the saints are there to lovingly guide and support us. 1. “Doing the Lord’s work does not always turn out according to our plans.”//This is none more evidenced than in the lives of the saints who were often redirected in their efforts to serve. For me, it speaks to the need to let go of the outcome and instead to seek God’s will and guidance in every instance of my desire to serve. Many times, I may never know the results of the work begun. 2. Because of sin, there is a great need to continually renew our baptismal promises and recommit our lives to Christ.// Mary’s life is a beautiful witness to a life fully committed to God’s will, and devoted to the heart of Christ- she is there to help us daily to honor our own promises. 3. Give Mary our prayers, sacrifices and gifts to distribute to those who need it most.// Initially, this was difficult for me to grasp. If I have been asked to pray specifically for someone, how can I let go of who my prayer’s intention is for? 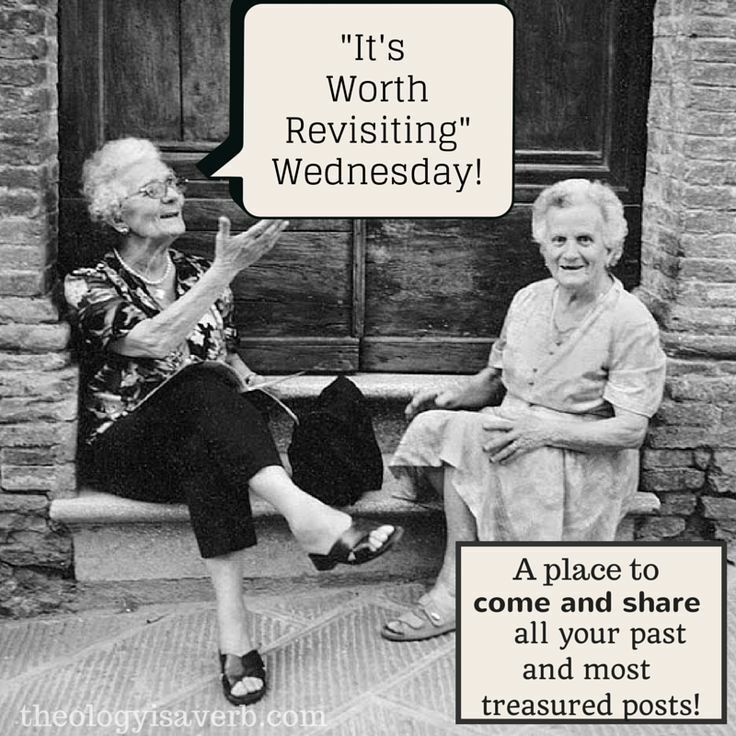 Because our efforts are not lost but she “augments, increases and purifies the spiritual gifts we give her”. Moreover, it isn’t that we cannot pray for those we love we just let go of the “final say”. 4. Why did Mary call herself the Immaculate Conception at Lourdes and not rather I am Immaculately Conceived?// I had never given this much thought before and yet much like St. Kolbe I was now enthralled with the distinction. As the spouse of the Holy Spirit she had in fact taken the name of the One who creates, sustains, and renews the face of the earth- the uncreated Immaculate Conception. Born without original sin, Mary also knows within her the Holy Spirit as “uncreated Love” which bears divine fruit within her womb in Jesus. 5. W+ w =S. In short, when we seek to unite God’s will with our own it is then we are led to sanctity or holiness.// Following God’s will is difficult but when look to Mary’s beautiful example we see she is there to lead the way. 6. 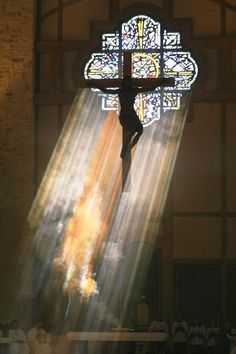 Every day “people give themselves over to Satan to be possessed by him…why can’t people give themselves over to God to become an instrument of love?// Mary implores us to not be content in our own salvation, but to lead others, indeed the entire world, to conversion and to the love of Christ. 7. Christ longs, undeniably “thirsts” to be close to each one of us. “Hear your name. Not just once. Every day. If you listen with your heart you will understand”.// Moreover, this intimacy calls us to see the suffering of his children who are left lonely, hungry and uncared for. This too is a “thirst” of Christ which goes unfulfilled when we walk away from those most in need.